After assisting Sir Simon Rattle at the Berlin Philharmonic, Christopher Ward became Kapellmeister and Assistant to Kent Nagano at the Bavarian State Opera in 2009. He led several new productions, including world premieres of Eötvös’ Die Tragödie des Teufels, Ronchetti’s Narrenschiffe and Srnka`s Make No Noise (opening the international Munich Summer Opera Festival with Ensemble Modern), as well as concerts with the Bayerische Staatsorchester and the Opera Studios of Munich and La Scala, Milan. 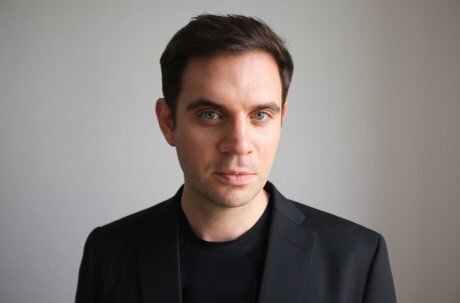 In 2014 Christopher Ward became 1st Kapellmeister at the Saarländisches Staatstheater and he conducted the world premiere of Cekovska’s opera Dorian Gray at the Slovak National Theatre and Prague Spring International Music Festival 2015. He has already led performances at the Staatsoper Hamburg, Deutsche Oper am Rhein, Komische Oper, Oper Graz, Salzburger Landestheater, Staatsoper Prag, Theater Bremen, as well as concerts with the Bremer Philhormoniker, Staatsorchester Braunschweig, Brandenburger Symphoniker. The artist also recently recorded a CD of Schreker's orchestral music with the Deutsche Staatsphilharmonie for Capriccio. In 2018 he was appointed Generalmusikdirektor of Theater Aachen and Sinfonieorchester Aachen.